Lawrence University has been named one of the nation’s best colleges for students seeking a superb education with great career preparation and at an affordable price by The Princeton Review. 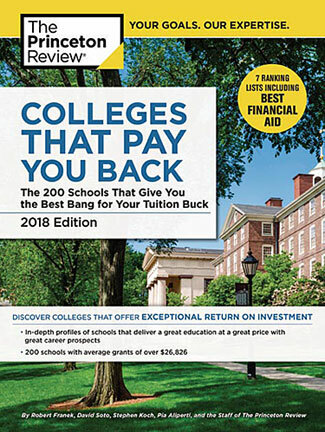 Lawrence was profiled in the education services company’s just-published 2018 edition of its annual guide “Colleges That Pay You Back: The 200 Schools That Give You the Best Bang for Your Tuition Buck.” The guide lists colleges alphabetically, not ranked 1-to-200. 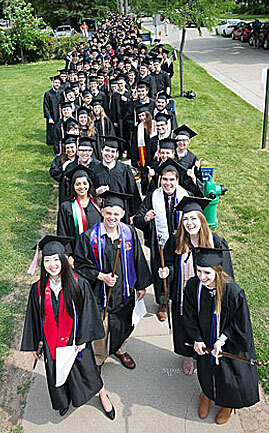 This is the fourth year in a row Lawrence has been included in the “Colleges That Pay You Back” guide. Schools chosen for the guide are based on data collected in 2016-17 from surveys of administrators at more than 650 colleges. The Princeton Review also factored in data from its surveys of students attending the schools and surveys of school alumni that PayScale.com conducted through April 2017. In all, The Princeton Review used more than 40 data points to tally return on investment (ROI) ratings of the colleges that determined its selection of the 200 schools for the book. Topics covered everything from academics, cost, and financial aid to graduation rates, student debt, alumni salaries, and job satisfaction. In the career information” section of its profile, the guide gives Lawrence an exceptional ROI rating score of 89. It also cites PayScale.com figures reporting Lawrence graduates with at least a bachelor’s degree have a median starting salary of $48,900 and a median mid-career salary of $100,300. Among the guide’s lists of special categories, Lawrence was ranked seventh out of 25 selected based on student ratings and responses to survey questions covering community service opportunities at their school, student government, sustainability efforts, and on-campus student engagement as well as the percentage of alumni from each school that reported having high job meaning.